Are high-end designer polishes worth the splurge? Or is the thrill of buying a luxury nail polish from a brand like Chanel, YSL, Dior only a vain purchase simply due to the fact that it is a luxury name brand? Large fashion houses like Dolce & Gabbana, Gucci, Marc Jacobs and more have been tapping into the beauty industry. Spending more than $15 on a small bottle of nail polish may seem ridiculous, but a luxury nail polish will get you a higher quality DIY at home paint job. The formulas of a luxury nail polish are more pigmented. This means you’ll have more of an opaque finish in the second coat versus a typical drugstore polish that may require more coats. Most luxury nail polishes are also infused with conditioning ingredients. This will help strengthen the nails and make them less prone to chipping. 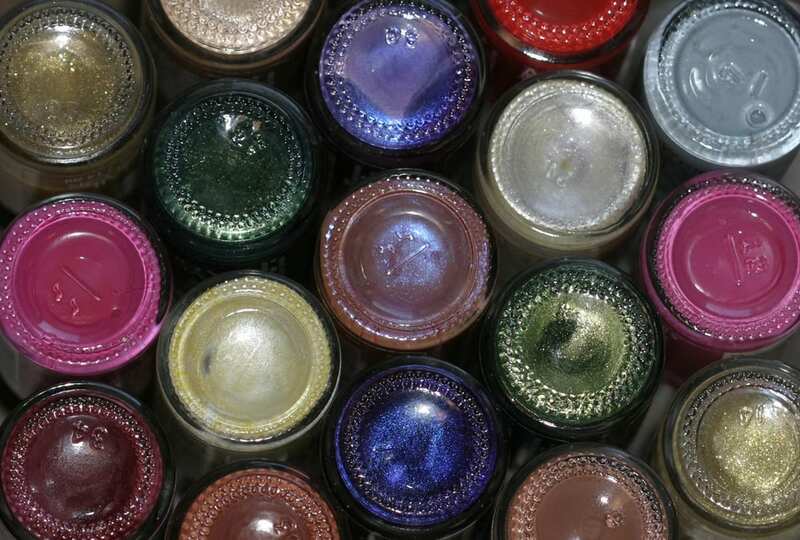 The technology and high-quality color make luxury bottles of nail polish worth the splurge. We’ve put together a list of luxury nail polishes and if they’re worth the splurge or not. All JINsoon formulas are 9-10 free and formulated without harsh chemicals. A high gloss nail lacquer that is long lasting with a chip-proof finish and a rapid drying time. This double patented formula delivers a long-lasting manicure with a rich and lustrous color payoff in a single coat. Enriched with Bioceramics and Ceramides, provides deep care to strengthen and improve the quality of nails over time. Along with protective benefits, the formula features carefully selected pigments for an even application and a dramatic, lacquered look. In a vibrant palette of trendsetting shades, including bestselling favorites and daring new colors. Christian Louboutin has 4 different lines of Nail Lacquer – Rouge Louboutin, The Nudes, The Noirs and The Pops. All of the formulas are highly pigmented and of high-quality formulas. The more coats you apply, the more wear you’ll get. With one coat, the polish lasted up to day three, and then chips started to form on the tips. With two coats, wear and tear didn’t occur until day six. The formula has a perfect consistency. It is not too thick and not too thin which was the perfect formula to glide on smoothly tot he nail. The brush of this polish grabs a decent amount of product at once. This makes it easy to apply the perfect amount of polish in each sweep across your nail. The polish includes a multipolymer complex similar to gel polishes which makes the polish long lasting. Most reviews state up to five days without any chips when using this polish. Cote signature formulas are cruelty-free, vegan and free of the major toxins associated with nail polish: formaldehyde, dibutyl phthalate (DBP), toluene, camphor, formaldehyde resin and triphenyl phosphate (TPHP), making our products the cleanest, safest nail polish available. Oribe’s ‘The Lacquer High Shine’ nail polish is your answer to a flawless, long-lasting manicure. Specially formulated with Resin Complex and Plasticizer Polymers, this varnish protects against fading, chipping and streaking. ‘The Red’ shade delivers opaque coverage with a super glossy finish. This non-toxic formula is free of formaldehyde, formaldehyde resin, camphor, DBP, parabens, toluene, xylene, and ethyl tosylamide. Have you tried any of these luxury formulas? Comment and let us know what we missed on the list or if any of these are your favorites.